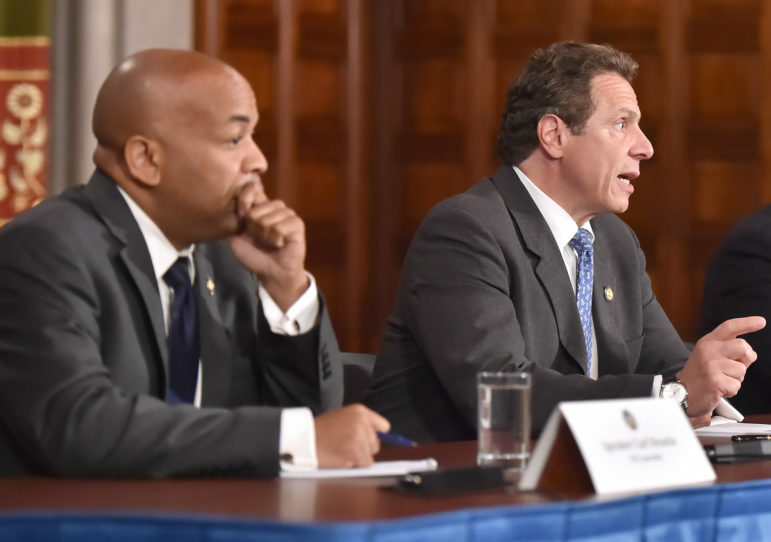 Speaker Carl Heastie and Governor Andrew Cuomo (seen here in 2015) joined Senate Majority Leader Andrea Stewart-Cousins this year in empowering a commission to come up with a public-financing mechanism for state elections. New York is experiencing a watershed moment in the effort to reduce the role of big money in our elections. In the state budget adopted last month, the governor, the Assembly, and the Senate agreed to adopt public financing for state elections. While the details have been left to a commission that is due to release binding proposals by the end of 2019, the framework for transformational change has been set, and that is a victory for all New Yorkers.